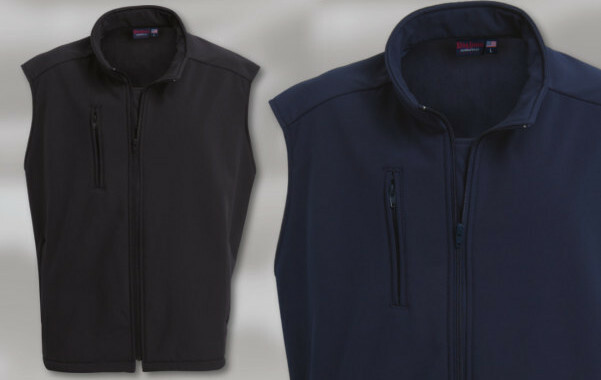 94% polyester / 6% spandex bonded fleece full zip vest. A full zip-through collar with an additional fashion right-chest zipper. Welt pockets and a hemmed bottom.